Pratyahara is the fifth limb in Patanjali’s yoga and it means the withdrawal of the senses. 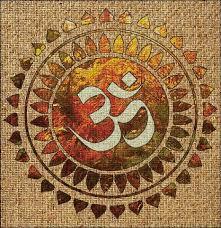 It is seen as an inner quest and a form of internalising by ‘freeing the senses from the thraldom of the objects of desire’ (Light on Yoga, BKS Iyengar) with the purpose of quietening the mind so much that it is able to perform intense, unbroken concentration. Without these “distractions” of the senses, the mind has the ability to reach the next limb and continue on the yogic path. It is the practise of bringing your focus inwards; removing stimuli from outside the body and in reducing this sense experience, the mind will follow inward, rather than directing copious energy outwards, much like a tortoise retreats into its shell. ‘Just as a tortoise withdraws its limbs, so when a man withdraws his senses from the sense objects, his wisdom becomes steady,’ Bhagavad Gita. The practise of pratyahara is not about the suppression of the senses but more about the mastery over. It’s more than a physical action (such as shutting the eyes) but a concentrated mental effort to go deep within and allow sensory experiences to drop away and cease to exist in those moments. It is often considered a pivotal limb in the yogi’s path, as it’s the transitional limb from when the journey consists of previous limbs that are external actions to limbs that are all inward focussing. It is a powerful tool to help the mind really discover the self and it can lead to deep, unexplored stillness and awareness, bringing you into true harmony of body, mind and spirit, which is essentially yoga. Once you move into that stillness, it allows the unconscious mind to have the freedom to expand and investigate and you will make unspeakable discoveries. ‘Pratyahara is a tableland for maintaining, sustaining and retaining what is gained through the previous limbs,’ Earth Yogi. Here’s some great real life ways of practising pratyahara. ‘The willingness or unwillingness to withdraw attention from sensory experience is a significant dividing line between those who experience true meditation and those who experience only physical relaxation,’ yoga sutras. To help with your pratyahara practise try directing your focus on the ajna chakra.